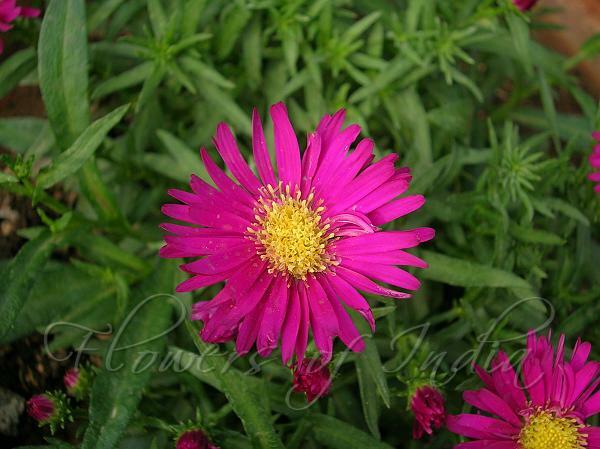 Like most asters, Italian Aster produces it purple flowers in late summer or autumn. 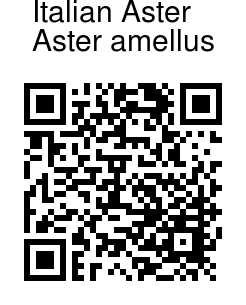 This is the European species of aster. This species grows naturally in central and eastern Europe as far as western Russia and Turkey. It is a clump-forming, upright, hairy perennial with lance-shaped, mid-green leaves 3-5cm long. The flowers are borne in autumn in terminal clusters of 5cm wide, violet-pink daises. Photographed in the Yogi Nursery, Delhi.